A wire transfer is a fast, simple, and secure electronic funds transfer method which allows you to receive funds directly into your bank accounts. Till April 2014 Google was sending Payments as Cheques which are to be submitted to local banks for collection, from May 2014 Google will send your Adsense earnings in U.S. dollars or Euros, depending on your account currency, via international wire transfer to the bank of your choice. 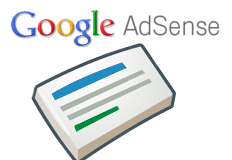 Sign in to your AdSense account (http://www.google.com/adsense). Click the setting icon to select Settings. In the left menu, click Payment tab. In the "Available forms of payment" section, click Add new form of payment. Choose the radio button for “Funds transfer to bank account” and click Continue. In the resulting page, you will be asked to enter you Name as per Bank records, Bank name, bank's IFSC code, bank's swift - BIC code and Your account number. If you are not sure about these detail, please call your bank and ask for instructions for receiving a wire transfer from abroad. Enter your bank account information and click Confirm and continue. * IFSC code : The Indian Financial System Code (IFSC) is an alphanumeric code that uniquely identifies a bank-branch participating in the two main electronic funds settlement systems in India : the real time gross settlement (RTGS) and the national electronic funds transfer (NEFT) systems. It is used for electronic payment applications like Real Time Gross Settlement (RTGS), National Electronic Funds Transfer (NEFT) and Centralised Funds Management System (CFMS) developed by Reserve Bank of India (RBI). Code has eleven characters "Alpha Numeric" in nature. First four characters represent bank, fifth character is default "0" left for future use and last six characters represent branch.